This guest post is by Susie J. Pak, an Associate Professor in the Department of History at St. John’s University (New York). When I began working on my dissertation at the Morgan Library & Museum in June 2001, researchers still entered from the 36th Street entrance, and the librarians sat in the center of the Reading Room at a raised oval desk. By the time the Piano renovation was completed, I had finished my dissertation, and I returned to the Morgan to the newly modernized Reading Room, where I spent many days for several years until my book, Gentlemen Bankers, went to press in 2012. There is an element of serendipity when one is physically present in the archive, particularly when one is fortunate enough to spend a lot of time there. This is not just because the archive has material unavailable online. It is also because the archive is a community that facilitates the informal exchange of knowledge and resources. Key elements of Gentlemen Bankers never would have appeared without several unplanned events that took place in the Morgan Reading Room. The first had to do with the J. P. Morgan & Co. syndicate books. I do not exactly remember how I came across them, but I do know that I did not go to the Morgan initially with the intention to look at them. I think that I saw them in the finding aid and became curious. 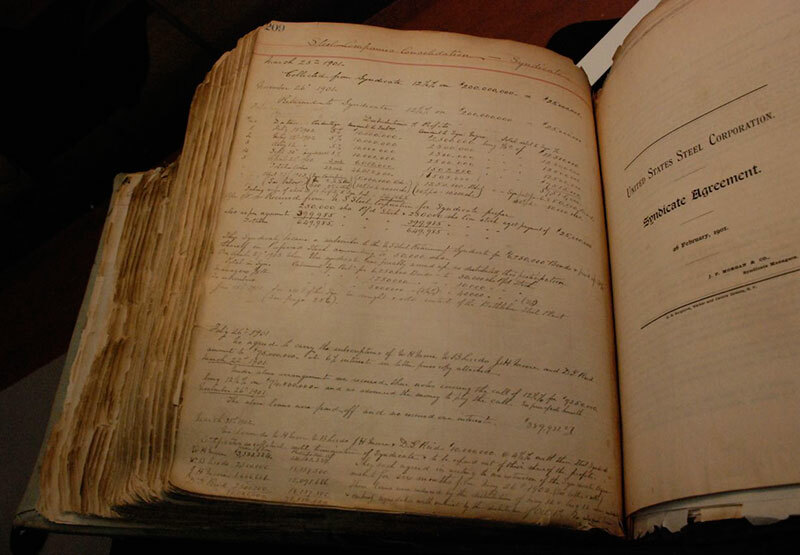 When the librarians called them up, I realized that they were giant, handwritten bound volumes that listed every syndicate that the Morgans participated in between 1894 and 1934. Having spent several years reading about social-network analysis, it was clear to me that the books offered a picture of the Morgans’ economic network—the individuals, institutions, and firms. Because the information was not presented in a form that could be easily analyzed, I spent the better part of two years translating the books into an excel format. This source became a central foundation of my study of the Morgans’ economic network. In the first letter, Satterlee writes that he is sending his mother a copy of the Social Register with a red and a blue pencil for her to mark those people she would want to receive invitations to the wedding (church only versus church and reception—hence the two different colors). In the second, Satterlee responds to a letter his mother had written him asking what she should do if she had people she wanted to invite who were not listed in the Register. These letters were an incredibly important find because they indicated how the Social Register was used by members of Morgan’s community. I cited these letters, coupled with the fact that ninety-seven percent of Morgan partners from 1895 until 1940 were members of the Social Register, to support the idea that the Social Register was a reasonable source for me to use as an indicator of their social networks. Like all historical sources, the Social Register has its limits. The actual content of a Social Register listing includes social clubs, but it does not tell us how much time the partners actually spent at the clubs. Were clubs important simply as status indicators, or did the partners spend a lot of time there, or both? I could not know unless I had evidence from another source, which I was lucky enough to find at the Morgan. 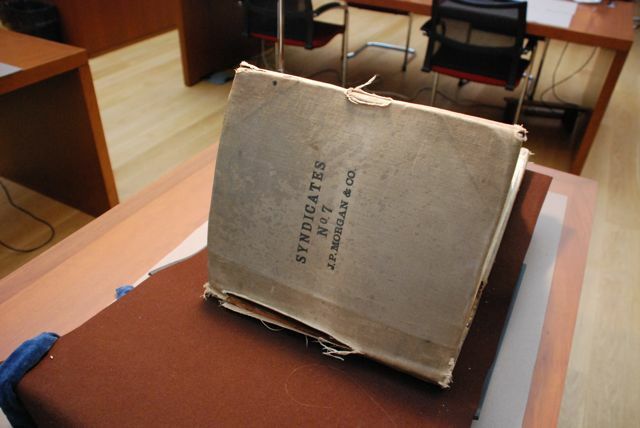 I cannot remember exactly how I came across Pierpont Morgan’s datebooks, but I think it is highly likely that they were pointed out to me by Maria Molestina-Kurlat, the current Head of the Reader Services. Like the syndicate books, Morgan’s datebooks were also not presented in a form that is easily analyzed. They had to be first translated into an Excel format, which I then used to investigate how much time Morgan spent in activities related to social clubs relative to other activities listed in the datebooks. I calculated that social-club activities took up about ten percent of the events noted, which was not insignificant given that the largest percentage of activities (twenty percent) involved board-of-directors meetings for the New York Central and Hudson River Railroad and the New Haven Railroad. The problem was that even though we know what events were important enough to be listed in Morgan’s datebook, we do not actually know whether or not he went. Morgan did not write the datebooks himself. That much is indicated from the handwriting and the fact that he is referred to as Mr. M. There is also a cryptic reference to a “small book,” which was most likely the book that he kept on his person. The whereabouts of that book are unknown. It is unlikely that anything would have been listed in the datebooks without Morgan’s approval, but did he actually go to the events listed? In order to know this, I needed another source to provide independent verification. Here again, I benefited from the insights of my fellow Reading Room researchers. During this time, Abraham Samuel Shiff, a CUNY graduate student, was also at the Morgan conducting research on Hamlet manuscripts. From Shiff, who is widely read in the history of American railroads, I learned that the records of the New York Central Railroad were housed in the Manuscripts and Archives division of the New York Public Library about a ten-minute walk from the Morgan. I then visited the NYPL, where I discovered that the NY Central’s board-of-directors meetings included a roll call of attendees. After making a complete list of all the board-of-directors meetings that were listed in the Morgan datebooks, I fact checked each date to see if Pierpont Morgan was present at the meetings listed in his datebook and also if he was present at meetings not listed in the book. Once I hit upon that strategy, I repeated the same exercise for the New Haven Railroad’s meetings, which I found were housed at the University of Connecticut’s Thomas J. Dodd Research Center. I did a similar cross-check for the Metropolitan Museum of Art thanks to the managing archivist, Jim Moske. 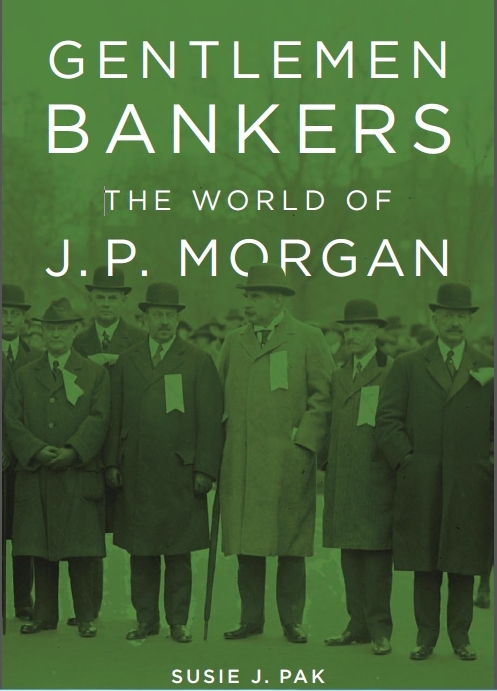 As I state in Gentlemen Bankers, the cross-checking verified Pierpont Morgan’s presence or absence for forty-three percent of the events listed in the datebooks. Of those events, we know that Morgan attended approximately sixty-four percent, which I used in the book to support my contention that the datebooks were a reliable source of Morgan’s activities, and thus supported my argument that social clubs were an important part of his social network. A big part of a being a historian is having a relentless drive to hunt down any lead, including those provided by others who generously share their knowledge and expertise. This short blog post indicates a few of the many serendipitous events that it took to write Gentlemen Bankers. Every book has an acknowledgements section that indicates all the debts that a historian accumulates, but I’d like to say my thanks again here. 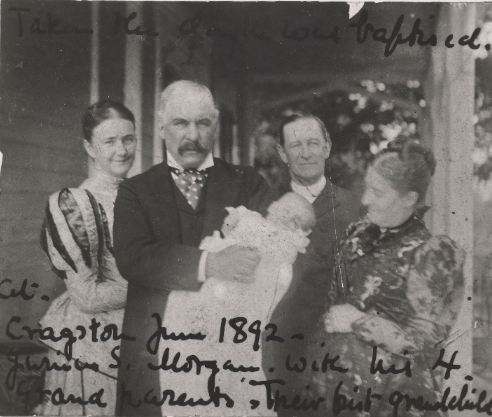 The greatest debt, of course, is to the Morgan Library & Museum and its staff for preserving and sharing the knowledge that the Morgan family and firm left for future generations, and for also providing the space for research and community building to take place. Susie J. Pak is an Associate Professor in the Department of History at St. John’s University (New York). A graduate of Dartmouth College and Cornell University, she is the author of Gentlemen Bankers: The World of J. P. Morgan (Harvard University Press, 2013). Pak also serves as a Trustee of the Business History Conference and co-chair of the Columbia University Economic History Seminar. She is a member of the Editorial Advisory Board for Business History Review; the Editorial Board of Financial History, the magazine of the Museum of American Finance; and the Editorial Board of Connections, the journal of the International Network of Social Network Analysis.